HOUSTON (CN) – As Oklahoma Attorney General Scott Pruitt tells a Senate committee Wednesday why he is qualified to lead the Environmental Protection Agency, which he has sued 13 times, two environmental groups are defending new EPA rules that would force some Texas power plants to reduce their pollutants. Pruitt’s nomination by President-elect Donald Trump to lead the EPA has elicited outrage from environmentalists concerned he will roll back rules laid down by President Barack Obama’s administration aimed at reducing greenhouse gas emissions. Texas’ battle with the EPA over one such Clean Air Act regulation, the Regional Haze Rule, dates back to March 2009. The rule requires state and federal agencies to work together to improve visibility in 156 national parks and wilderness areas. 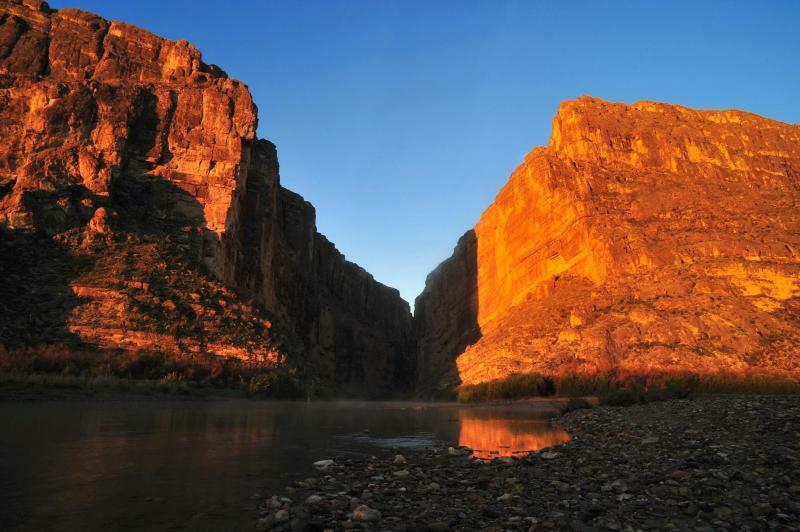 In Texas, the regulation is meant to improve visibility in Big Bend National Park and Guadalupe Mountains National Park in southwest Texas. Texas submitted a haze plan to the EPA in March 2009 that did not require any power plants to install equipment to reduce haze-causing sulfur dioxide. The plan had a widely derided goal of restoring natural visibility at the parks by 2155. The EPA rejected the plan and implemented its own for the state that would force seven Texas coal-fired power plants to reduce pollutants by installing expensive “scrubbers” that filter sulfur dioxide, or shut down. But environmental groups say the lungs of Texans, especially those in the Dallas-Fort Worth Metroplex, are at stake, because the area is downwind from coal-fired plants in East Texas. Misti O’Quinn, 33, lives in Richardson, a Dallas suburb. She blames power plant pollution and pollen for the asthma two of her three children developed as toddlers. Her 10-year-old daughter takes an inhaler to school that she uses when her physical education teacher makes her run outside, O’Quinn said in an interview. On days when the air is really bad, O’Quinn said, she has “to pull out the big guns,” nebulizers that convert three liquid medications into steam that her children inhale through a facemask every four hours. O’Quinn said Medicaid covers her children’s asthma medications, which can be expensive for those without insurance. One box of Pulmicort, a steroid and decongestant that goes into the nebulizers, costs $200. O’Quinn said her children can go through a box of Pulmicort in two weeks. “If the power companies are using coal to run all of our homes, for us to be able to put our lights on … I’m funding them poisoning us,” she said. But Texas and power companies told the Fifth Circuit in their motion for extraordinary relief from the haze rule, that the equipment upgrades would cost $2 billion and would likely force them to shut down power plants, shuttering 8,400 megawatts, enough to power more than 1.6 million homes. The rule would require seven Texas power plants to install new scrubbers, and seven others in the state to upgrade their scrubbers, according to the state’s motion to the Fifth Circuit. A three-judge panel of the Fifth Circuit sided with Texas and the power companies and stayed the rule. The EPA and Texas agreed in August 2016 to stay proceedings for 90 days to work on a settlement, but talks broke down. To the disappointment of environmentalists, the EPA withdrew the plan in early December, with a motion to remand to work on a compromise. The EPA promptly proposed a new rule for some Texas power plants, a requirement of the Regional Haze Rule called Best Available Retrofit Technology, or BART. The EPA published the preliminary BART rule for Texas in the federal register on Jan. 4, and the public has until March 6 to comment on it. “The proposal includes sulfur dioxide limits on nine coal-burning plants, along with five others fueled by natural gas,” Earthjustice attorney Mary Whittle said in a Jan. 10 conference call sponsored by the Sierra Club. “The plants that would need new scrubbers to meet the proposal limits have five years to comply, while those that would need scrubber upgrades have three years to comply,” Whittle said. Whittle represents The Sierra Club and the National Parks Conversation Association, which intervened at the Fifth Circuit for the EPA. Texas argued in its Dec. 19, 2016 opposition to the EPA’s motion for remand that the agency is attempting an end run around the Fifth Circuit panel that stayed the haze rule, by trying to implement parts of the rule without having to present the merits of its case before the New Orleans-based appellate court. “Given EPA’s actions, the only conclusion that can be reached is that it is engaging in an ‘administrative law shell game’ to avoid a ruling on the merits of the pending petitions for review so that it can adopt substantively similar regulatory obligations in related proceedings,” Texas claims in its motion in opposition. Whittle explained the implications of that request in an interview. She said Texas is asking the Fifth Circuit to clarify that the stay prevents the EPA from relying on “any aspect” of the contested haze rule, including facts and legal arguments. “A factual finding would be how much it costs to put pollution controls on the Big Brown or Monticello or Martin Lake. What they want is for EPA not to be able to use any of that same information in any rulemaking proceeding ever again. It’s a bold request,” she said. Big Brown, Monticello and Martin Lake are three East Texas coal-fired power plants owned by Luminant that the EPA’s stayed haze rule targets for upgrades. Whittle said Texas is trying to preclude the EPA from implementing the BART rule. But the Sierra Club said in a Jan. 13 brief to the Fifth Circuit, responding to Texas, that the EPA is under court order to issue a final rule on BART by Sept. 9. The Sierra Club says Texas is attempting to convert the stay into a weightier order. “This court does not have authority to grant petitioners’ request to turn its stay order into an injunction that would constrain EPA’s actions in independent rulemakings,” the Sierra Club said in its brief. The EPA held a public hearing on the BART rule on Jan. 10 in Austin, where Luminant attorney Susana Hildebrand reiterated the power-shortage concerns of power companies and Texas in the air-conditioner dependent state. “Luminant will continue to comply with the regulations of our state and our federal government. But those regulations must take a balanced and measured approach that doesn’t harm those that depend upon our operations for affordable and reliable electricity,” she said. Luminant will have an ally in Pruitt, whose confirmation is all but certain in a Senate with enough Republicans to confirm Trump’s Cabinet picks with a simple majority. Pruitt has criticized the Obama administration for trying to shut down coal-fired power plants. Whittle said environmentalists are bracing themselves for regulation rollbacks. “We expect that we will have a fight on our hands to keep these needed and long overdue pollution reductions, but we intend to continue our fight for cleaner and clearer air in Texas and will hold a Trump EPA to sound legal and scientific reasoning,” she said.